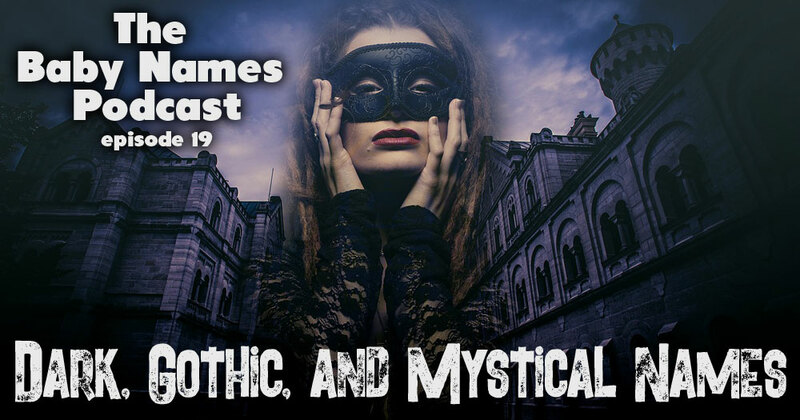 Jennifer and Mallory discuss spooky, dark, Gothic, and mystical names–just in time for Halloween! In this episode our guest “cub reporter” Miranda Mendelson helps report the current celebrity baby news. Miranda can be found on her popular beauty blog, SlashedBeauty.com! A full list of Gothic names from the book History of the Gothscan be found here on BabyNames.com. Avichai, Sigalit, Gavriel, Emene, Layla, Farid, Kevinnie, Chetachi, Sachin, Midnight, Stormi, Thorn, Talon, Noir, Damien, Elvira, Svenghouli…and more! We also discuss the “easy to spell, easy to pronounce” controversy…and make fun of Mallory’s Twitter feed. Make sure to follow both Mallory (@MalloryMoss) and Jennifer (@Mossifer) on Twitter.